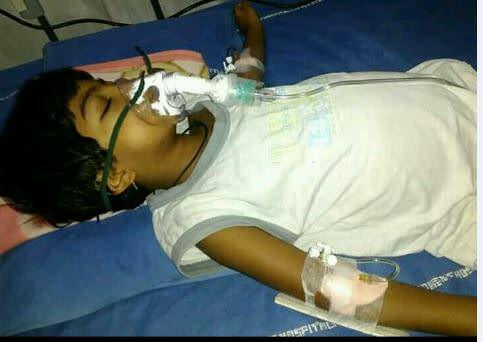 I am Vishnudas Goutham (Father of Vishista) writing to ask for your kind help to save my daughter life. 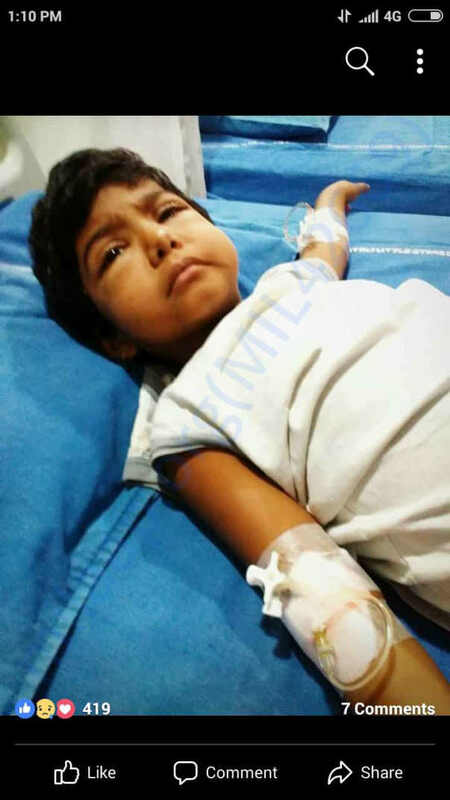 My 8-year-old daughter Vishishta (Ammu) suffering from serious deadly chronic disorder (Nephrotic syndrome) in Karimnagar. Condition is rare, complex, dangerous and almost incurable. My wife and I are in the deepest despair. I am lower middle class father of two female kids working as a video journalist in local TV channel. 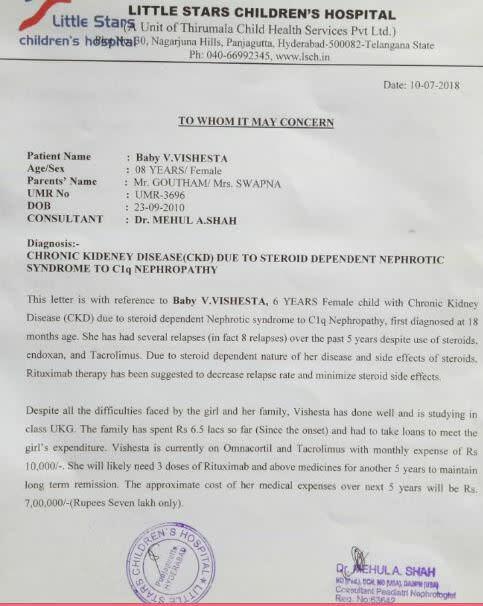 My elder child (Vishishta) is fighting Chronic Steroid Dependent Nephrotic Syndrome from the age of 18 months (Onset of disease) this is rare conditions which relapse without medication till she attains teenage need to be on medication which is expensive. 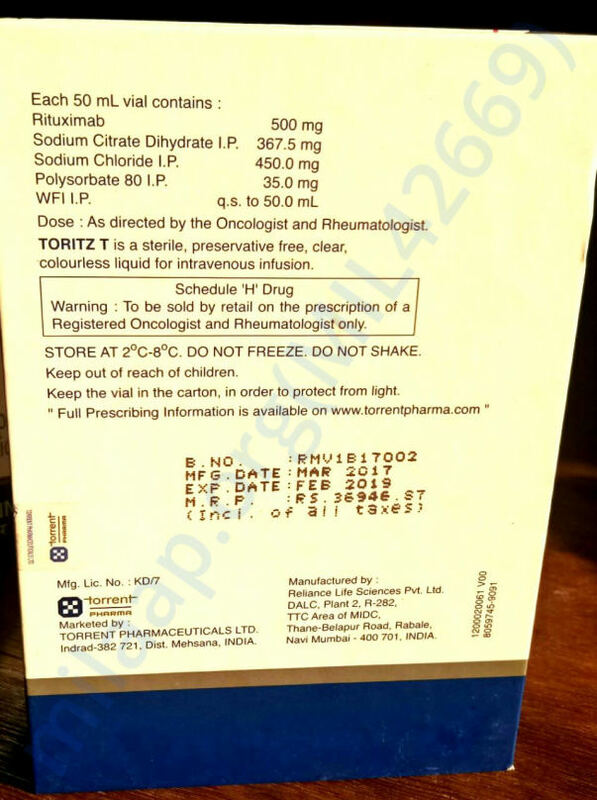 (Each Injection cost 36,000) TORITZ 500MG INJECTION. which stops disease from relapsing. I saved my kid all these years with expensive medication. Now All my earnings and debts are depleted over these years . 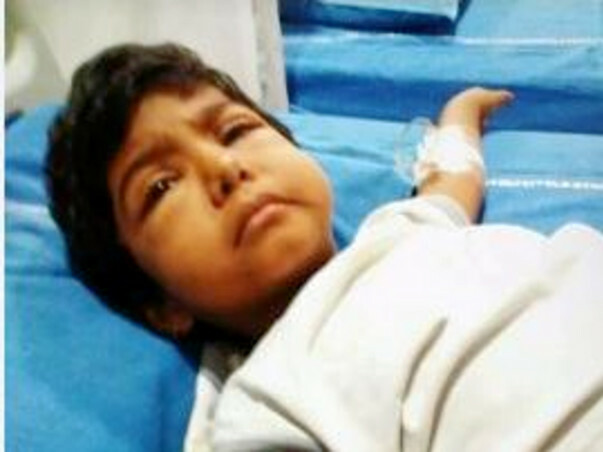 I Sold everything for her treatment. 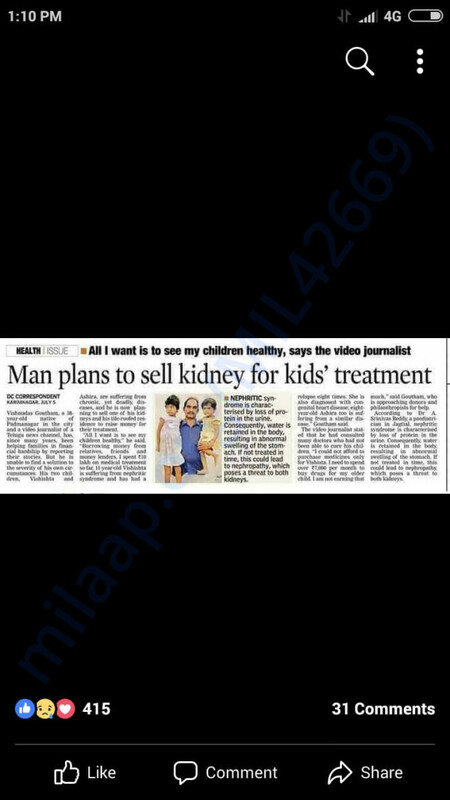 I am ready to sell my Kidney or organ for treatment.Now I am trying to seek possible help, which seems to be the only opportunity for my daughter. Our economic situation is Very poor and cannot afford medical expenses. 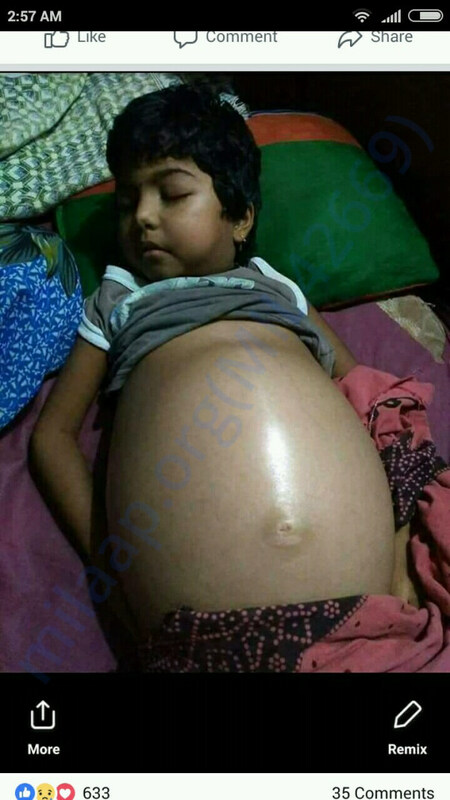 So, any help or information about charitable medical organizations and possible financial support will be highly appreciated.All I want to save my Child.. Please support my Child and Save Her life Your Little contribution can save my Child. 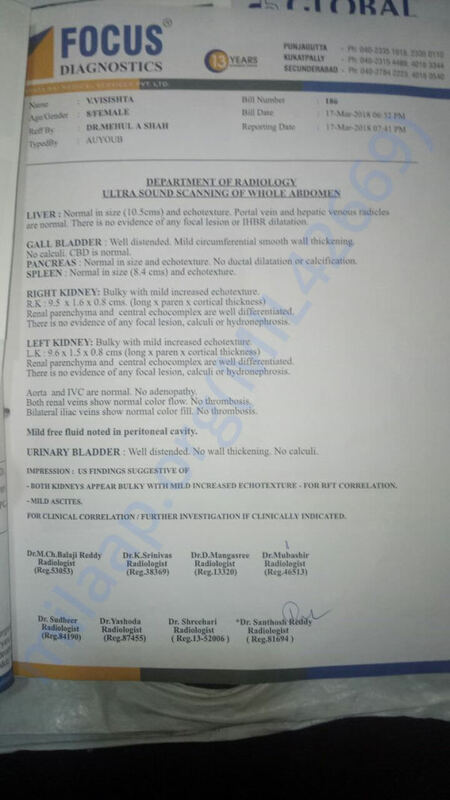 Here is a quick update on Vishishta's health. Currently, she is at the hospital and responding well to the treatment. 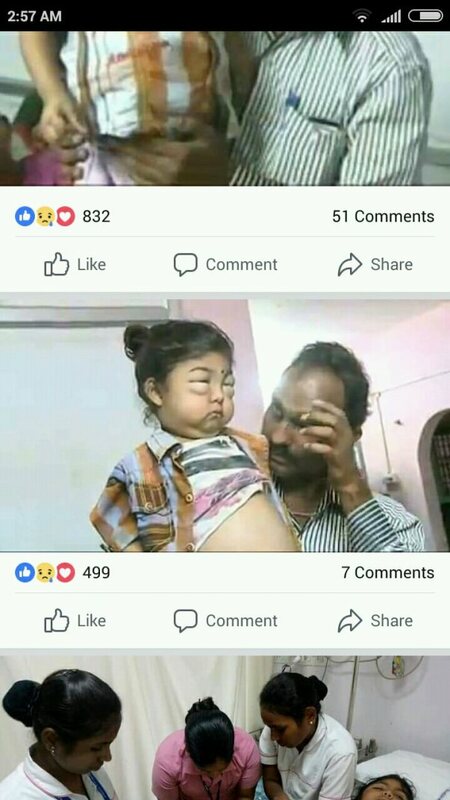 Her condition is a little better. 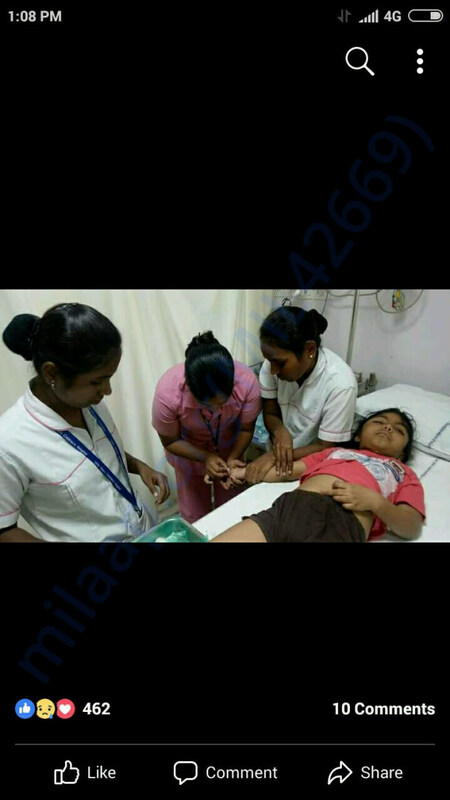 She is on medication and injections are given as per doctor's prescription. Hopefully, she will be discharged by end of this week. 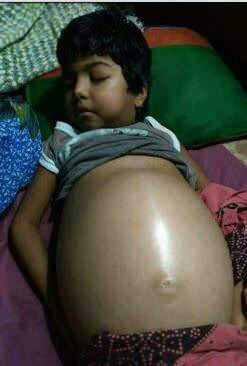 Please pray for her health and speedy recovery. Thank You for all the support shown so far. Quick update.Treatment given for my baby has worked well.Now she is recovered from all the symptoms.She doing good able to eat, sleep and talk bit back to her normal life. Praying god disease shouldn't relapse. Once she recovers completely will update pics and vdo. Thanks for all the donations which helped my baby to Recover. A big thank you to all from my baby.